R. DeVincentis Construction, Inc. was founded in 1969 by Raimondo DeVincentis, who immigrated to the United States in 1950. Initially, R. DeVincentis performed only residential concrete work. However, within a few years, the company transformed to a diversified general contractor that engages in mostly public projects ranging from roads, bridges, utility infrastructure, and all types of site construction . Raimondo's oldest son, Roberto, worked summers since 1969 until he joined the firm full-time in 1975, after receiving a BS from Cornell University and an MBA from Duke University. In 1977, Roberto started Vacri Construction Corporation, which was named after the village in Italy in which both he and his father were born. Vacri specializes in public construction projects which include all types of utility infrastructure, water and sewage treatment plants, landfills, corporate parks, and electrical control and instrumentation systems. Riccardo DeVincentis, Raimondo's youngest son, worked summers, as Roberto did, until 1980 when he became a full-time employee, coordinating and controlling all field operations for both firms. 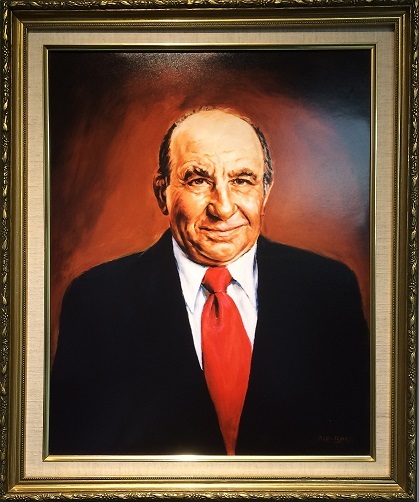 After Raimondo's premature death in 1993, Riccardo became President of R. DeVincentis Construction, Inc. and Vice-President of Vacri Construction Corporation. Currently, there are three DeVincentis children who represent the third generation to have joined the firm. Ryan DeVincentis, Riccardo's oldest son, is a graduate of SUNY Brockport. He began in 2009 and is a currently a project expediter. Raimondo DeVincentis, Riccardo's middle son, graduated with a degree in Civil Engineering in 2014 from Penn State University. He is currently an assistant project superintendent and junior project engineer. Nicholas DeVincentis, Roberto's son, started working summers in the field since 2000. Upon graduation from Duke University in 2006 with a degree in Civil Engineering, he joined both firms full-time as a project engineer. Nick is currently a senior project manager and the NYS Region 9 Highway Director for the AGC. Concrete work, included but not limited to decks, structural concrete, retaining walls, flatwork and shotcrete. Underground Utilities including water, storm, and sanitary sewer repair and replacement. Other miscellaneous work associated with utilities and bridge construction/maintenance.